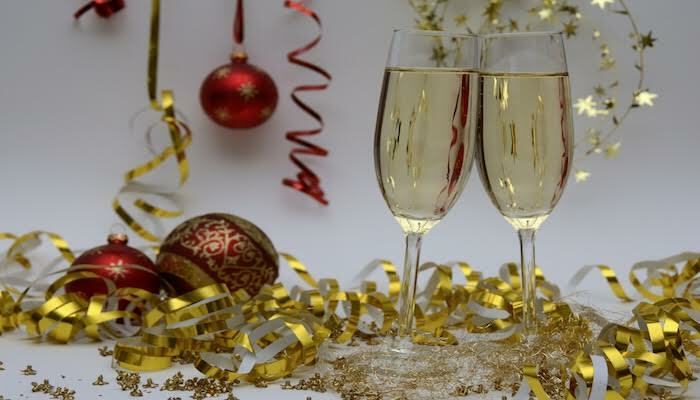 As the year comes to close, it’s time to determine how you will want to ring in the New Year on December 31st. Which of the New Year traditions will you participate in? Whether you are at home, at a party or in Time Square with 2 million of your closest friends, chances are you will be counting down till midnight watching the classic New York City ball drop. It is said that 22 percent of Americans will fall asleep before midnight. At midnight, you may sing the traditional song “Auld Lang Syne.” Meaning “old long ago” by Scottish poet Robert Burns. The majority of people probably do not all the words. But you could always hum along loudly enough to get by. You may or may not kiss someone at midnight. Kissing someone at midnight is said to bring good luck. According to English and German folklore, the first person you encounter in a New Year — and the nature of this encounter — sets the tone for the rest of the year. A kiss is about strengthening ties you wish to maintain in the future. You may eat black-eyed peas. A tradition in the south, it was believed that the black-eyed peas symbolized coins and eating them insured economic prosperity for the coming year, wrote Frederick Douglass Opie, a food historian, in his blog Food As A Lens. You may watch fireworks. China invented fireworks and is also one of the first countries to take part in the New Year’s celebrations due to their time zone. It’s believed that the noise of the fireworks scares evil spirits and misfortune. You may make a New Years resolution. Making resolutions are goals to improve one’s life. Common resolutions include diet, exercise, quitting bad habits, and other issues concerning personal wellness. A prevailing view is that the first day of the year is a clean slate to start over. You may attend a New Year’s Eve or a New Year’s day parade. For instance, the New Year’s Day Rose Parade in Pasadena, California. You may watch a lot of football. Watching football is a familiar activity on New Year’s Day in America, for example, the Rose Bowl. You may toast champagne, throw confetti and shake those noisemakers to express your gratefulness for the past year’s blessings. All these traditions are said to wish luck to the future. Many nations and cultures have their own characteristic way of celebrating. However you wish to celebrate, we wish you much health, success, and happiness in 2018!